Sure, the patron saints of roséwave might be Kacey Musgraves and Haim. But roséwave contains multitudes — and now, it's time to hear it for the boys. It's a truth universally acknowledged that if it's pink, it'll likely be marketed exclusively to girls. (And, in that case, it'll probably cost more.) You may be tempted to think that fate has befallen our favorite pink drink, fretfully wondering: Is rosé just for women? Fear not. 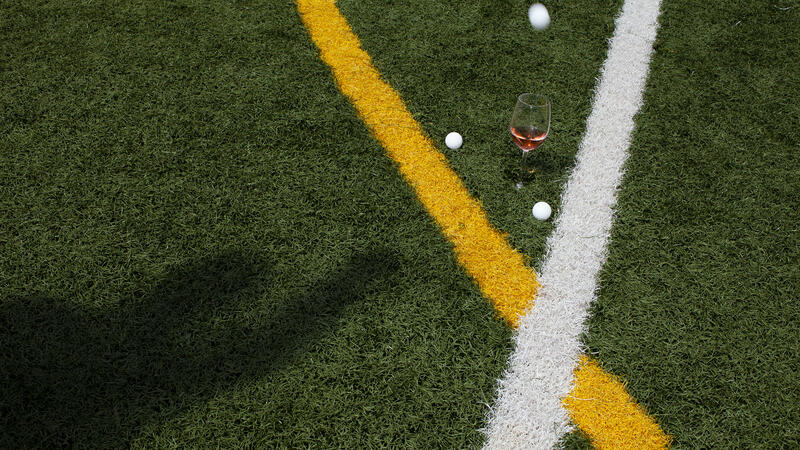 Rosé is, as one article puts it, "not just for girls anymore, bro." Picture yourself at a backyard barbeque with your bros, or tailgating with your dudes before the big game, or anchored on the sandbar, buoyed by a cold drink in hand. Why reach for a watery, cheap beer when you could be sipping something that signals just how refined you are, something sweet, but not frozen, fruity sweet? Are you really going to let that extra $0.21 on the dollar ruin your enjoyment of something so fun, carefree and delicious? Absolutely not. And fine: You can even call it brosé if that helps. Sure, the patron saints of roséwave might be Kacey Musgraves and Haim; we may have encouraged you weep to Rilo Kiley or drink boxed wine to Kesha's old-school hits. But roséwave contains multitudes — and now, it's time to hear it for the boys. Our broséwave playlist reps for all kinds of dudeliness: for sensitive softboys who are as emotional as Drake and for country bros who want to kick back on either side of the Florida Georgia Line; for hip-hop heads who miss the old Kanye and for Gen X meme generators (yes, "Smooth" by Santana feat. Rob Thomas is included). It's for any and all who identify as "the boys" in Thin Lizzy's classic anthem. Preps, jocks, tomboys (even that cutie who just lent you a copy of Stone Butch Blues) — this playlist, like the lifestyle it honors, has a little something for everyone. So pop a bottle of our preferred blush beverage and grab the aux cord at your next bro-out sesh. Gender stereotypes are boring, pink wine is delicious and these tunes are your new summer soundtrack, dude.